On arrival pick up from Railway station / Airport and transfer to hotel after freshen up visit local sightseeing . Overnight in Hotel. After Breakfast visit local sightseeing of Jabalpur and later leave for Kanha approx. 170 Kms/ 4 Hrs. Evening free in Kanha night in Kanha Hotel. Morning Jungle safari in Bhandhavgarh. Afternoon free for Lunch. Evening Jungle safari in Kanha. Night in Kanha Hotel. 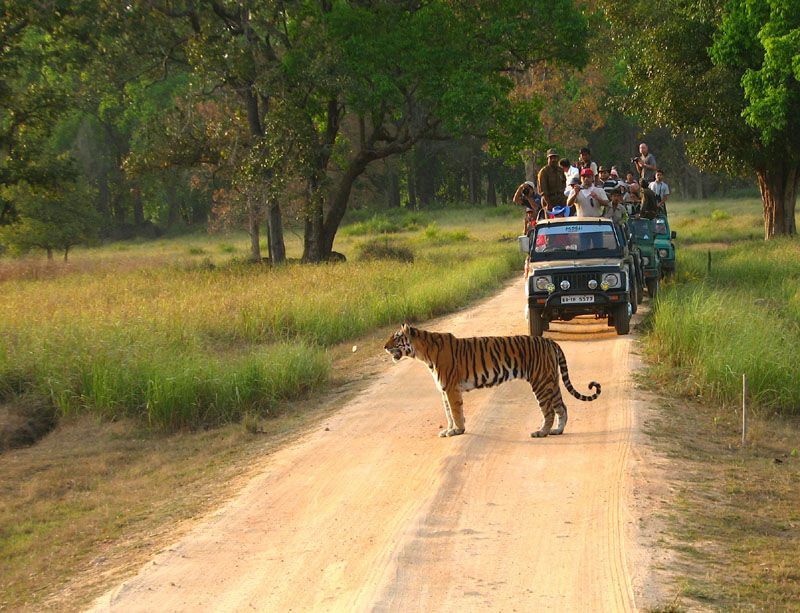 Subjected to availability Elephant safari can also be managed in Kanha. Morning after breakfast visit local sightseeing of Khajuraho and temples of Khajuraho. Over night in Khajuraho. Morning leave for Jabalpur . On arrival drop at railway station / airport for further journey. Jungle Safari at any place.